PJ Horan | The College Funding Coach PJ Horan | Paying for college without jeopardizing your retirement! 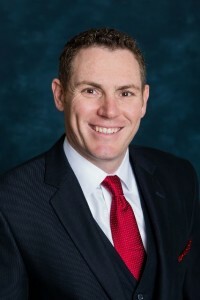 PJ Horan began his career in financial services directly out of college in 2007 as a Financial Associate. He was very diligent in building his practice while also expanding and improving his professional skills. He slowly and carefully built a client base as he studied and learned from his Senior Partner. As the firm transitioned leadership in 2012, PJ took a role as a Managing Associate to help with recruiting and training the next generation of Associates. In 2014, he became a Senior Partner of the firm with the opportunity to establish his own individual team of associates. Along with studying for the CFP designation, he built his team to 14 associates. In the fall of 2016, PJ stepped back from leadership to focus and grow his personal practice JCH Financial. He wanted to have more time to spend with clients as well as more freedom to help raise his young family. JCH Financial focuses on helping families using financial planning strategies centered around making college more affordable and paying for it without sacrificing their retirement or other life goals. PJ is also very active in his community. He helped coach Varsity Basketball at Poolesville High School and is head coach for his son’s Basketball and Baseball team. Sports are very important to PJ and because of that, he recently became President of the board of Poolesville Athletic Association, where he works to create an organization that can promote and support the local youth sports. He is a member of the Knights of Columbus in Bethesda. He is the founder and director of a Memorial Fund for his late father, who passed away from lung cancer in 2014. He, along with family and friends, work every year to raise money for cancer research at Johns Hopkins Hospital. PJ is also the Chair of the Gaithersburg-Germantown Chamber of Commerce’s Young Professional Group & serves on the Chamber Board. In 2015 he was awarded by the chamber as the Young Professional of the year. PJ and his wife Katie have three young children; Johnny, 6, Christopher, 4, and Hallie, 2. Despite all his involvement in the community, PJ makes sure there is time for family. He enjoys playing Golf and Baseball with both of his sons in their backyard at their home in Poolesville, MD. PJ is an avid golfer and huge Maryland Terrapins fan.